Did you know that safety data sheet translation actually saves lives? It may sound like an outlandish claim to make, but it is true. 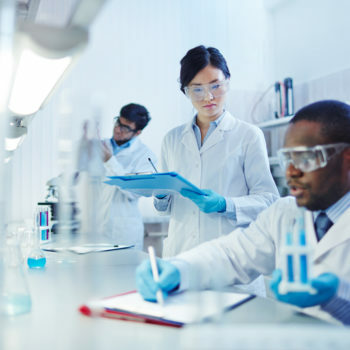 When dealing with hazardous chemicals, workplace documents that inform employees on the best way to handle such substances – called Safety Data Sheets (SDSs) – can mean the difference between safety and catastrophic injury. As a consequence, if your company employs a multilingual workforce, then such sensitive workplace documents need to be translated accurately the first time. At a time of emergency, your workforce needs to know how to immediately respond, and a language barrier cannot get in the way. When dealing with such important documents involving worker safety, you need professional, experienced technical translators who can translate them to Spanish, Russian, Simplified Chinese, Korean, Vietnamese, Burmese, Polish, Traditional Chinese, and other languages. You can rely on the technical translation services provided by All Language Alliance, Inc. to give you the kind of accuracy in translation that you need for your important workplace safety documents. • What is an SDS, and why is it so important? The United States Department of Labor’s Occupational Safety and Health Administration (OSHA) mandates that chemical manufacturers, distributors, or importers provide Safety Data Sheets (SDSs), formerly known as Material Safety Data Sheets or MSDSs, to clearly communicate the dangers of hazardous chemical products. Beginning in 2015 OSHA required that SDSs be in a uniform format regardless of the company or industry. Some important parts of the SDS include identification of the chemical product and all hazards that are associated with it. The SDS also includes proper handling and storage of the chemical product as well as worker protection when working with the product. Most importantly, the SDS must include first-aid, fire-fighting, and accidental release measures if someone suffers from improper exposure, or there is a release of the chemical product in the workplace. Other countries have similar regulations involving the handling of chemical products. For example, Canada established its requirements for SDSs in its Workplace Hazardous Materials Information System, and the European Union has a regulation commonly called REACH (Regulation on Registration, Evaluation, Authorization, and Restriction of Chemicals) that requires a similar 16 section format for its SDSs. In fact, REACH requires that the SDS be supplied in the official language of the member state where the chemical is put into the market. An SDS is so important to workplace safety because handling hazardous chemicals is, obviously, very dangerous. Accordingly, the SDS provides an easy, standardized reference to help people understand the proper handling of certain chemicals, and the proper procedures if there is a spill or other hazardous exposure. • Do SDSs need to be translated? As noted above, the European Union’s REACH expressly requires that SDSs be translated into the official language of the member state in which a chemical product is put into the market. There is little question as to why such a rule is important. The SDS is a document that helps people in the workplace understand the types of hazardous chemicals they are handling, and outlines procedures on how to respond to an accidental spill – one that likely needs to be addressed and contained immediately to protect the health and safety of all employees in the area. The importance and sensitivity of the SDS cannot be overstated. The potential for catastrophic harm is very real if people do not understand how to handle an accident involving toxic chemicals. As a consequence, the translation of an SDS must be treated with the same importance and sensitivity. Specifically, technical translation of an SDS has two particular challenges. First, any translation that is less than accurate has the likelihood to misinform the reader. In times of emergency, that could mean the difference between safety and serious injury. Second, an SDS deals specifically with complex chemical information about different chemical products. Such complex text needs a professional, experienced technical translator. A company would be putting the workplace in jeopardy if it obtained a less-than-professional translation of an SDS. • Professional translation services for workplace safety documents. There are companies, large and small, that may want to keep costs down by trying to have a bilingual employee translate documents, such as SDSs, if the company even tries to translate the documents at all. While that decision may have a short term benefit, there is no way to test the accuracy of that translation. When dealing with hazardous materials that could injure workers, a poor translation could have incredibly serious consequences. As such, the short term benefit of an amateur translation will not justify the long term consequences that may result. We at All Language Alliance, Inc. have expertise that goes beyond legal documents. We have the know-how to translate highly technical documents like an safety data sheets. Allow us to translate your company’s SDSs with utmost care and accuracy. Our wealth of experience translating technical documents into many different languages is what sets us apart from the pack. Protect your workforce, your workplace, and your company with the help of our technical translation services.